The third Leg begins as teams must now fly east to Incheon, South Korea! All teams will be on a direct Asiana Airlines flight from Chengdu to Incheon International Airport, arriving at 4:50am. 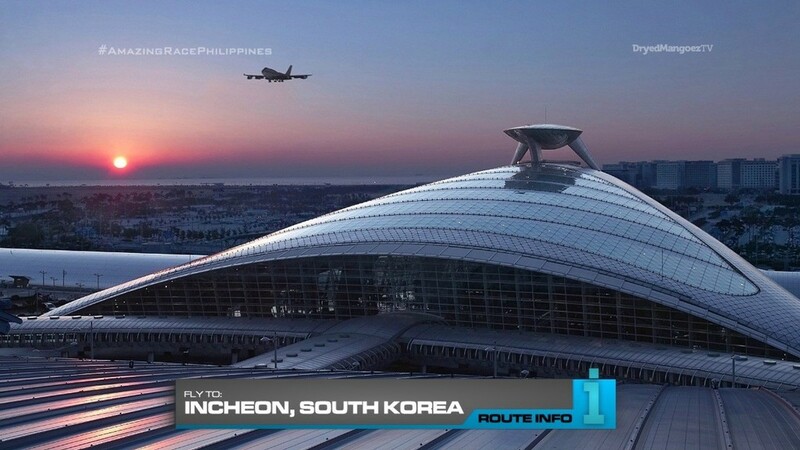 At Incheon Airport, teams must find the #222 Blue Bus which will take them to the Muuido Island Ferry Dock. 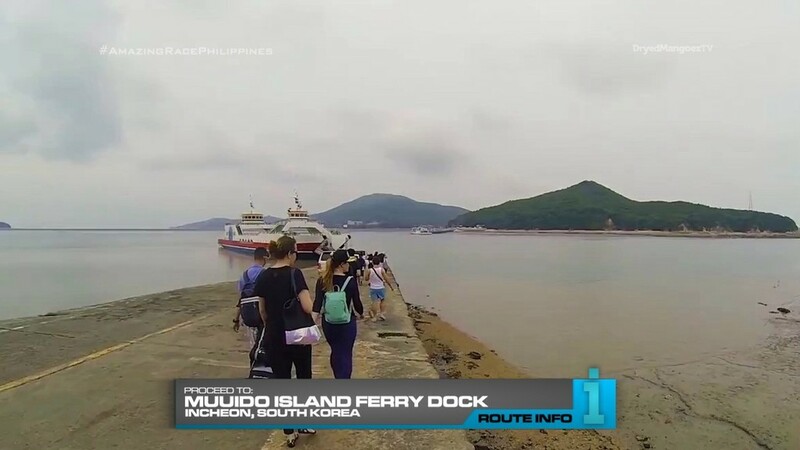 Here, teams will hop onto the first ferry to Muuido Island where they will find their first clue. Since the sun has just risen, teams will now be helping locals set up their stalls at the dock for the day. Once the stalls are ready for the day’s business, they will be given their next clue. 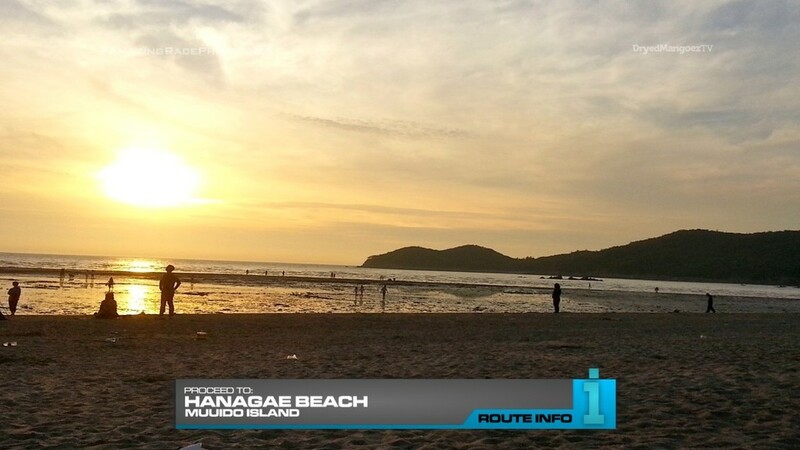 Teams must find a bus to Hanagae Beach for the next cluebox. 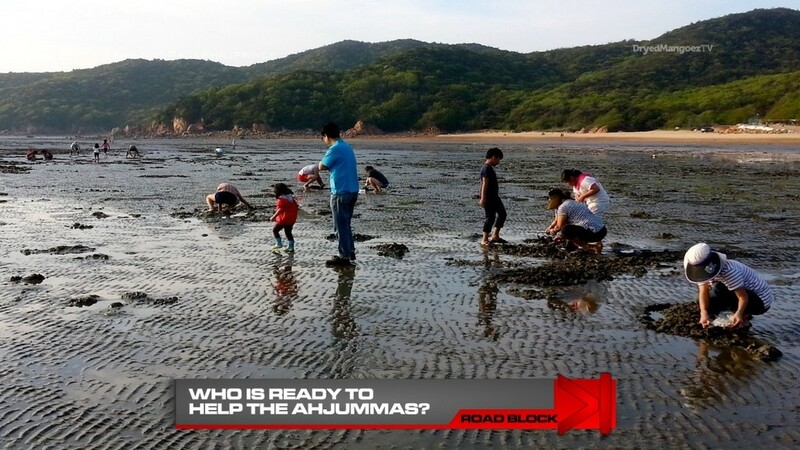 And that clue reveals the Road Block: Who’s ready to help the ahjummas? 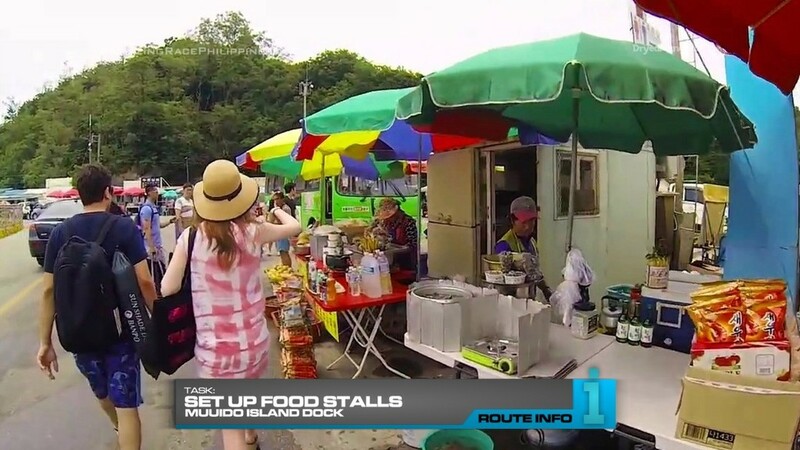 For this Road Block, teams will wait for the tide to roll out so they can accompany the local ahjummas to go clam digging. Once teams have filled a bucket with fresh clams, they will be given the next clue. That clue tells teams to find General MacArthur. 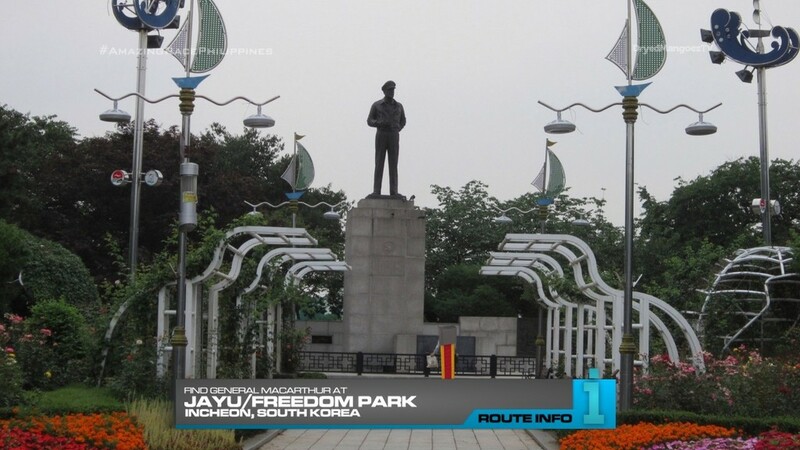 They will need to figure out that the next clue is waiting for them at the General MacArthur statue at Jayu or Freedom Park. And here, teams will find the Detour: Buy or Sell. 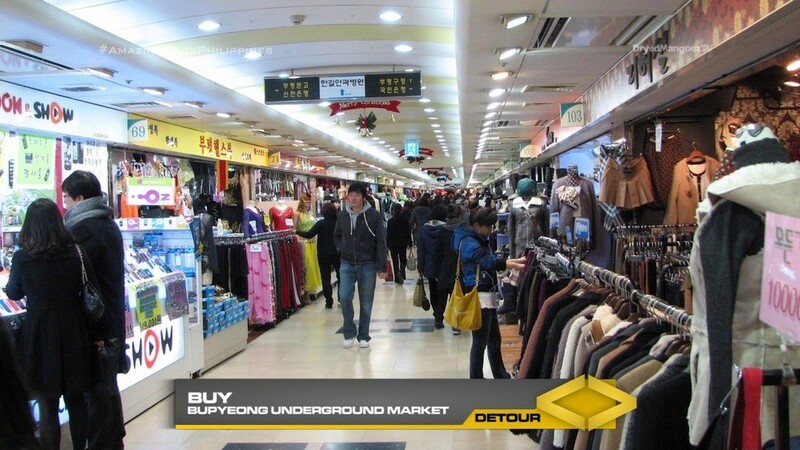 For both Detours, teams will head to the nearby Bupyeong Underground Market. In Buy, teams will be given a shopping list. 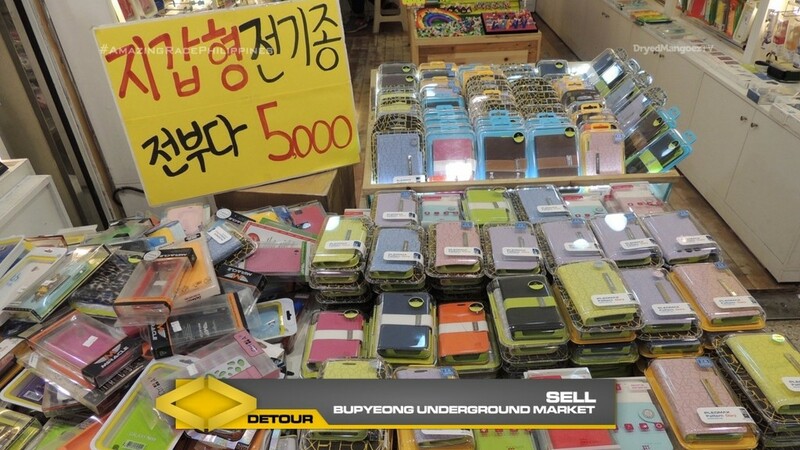 They must search the huge underground mall for the correct stores in which they can make their different purchases. Once they’ve made all their purchases, they will receive the next clue. In Sell, teams must find a marked stall and sell W75,000 worth of products to passing customers in order to receive their next clue. 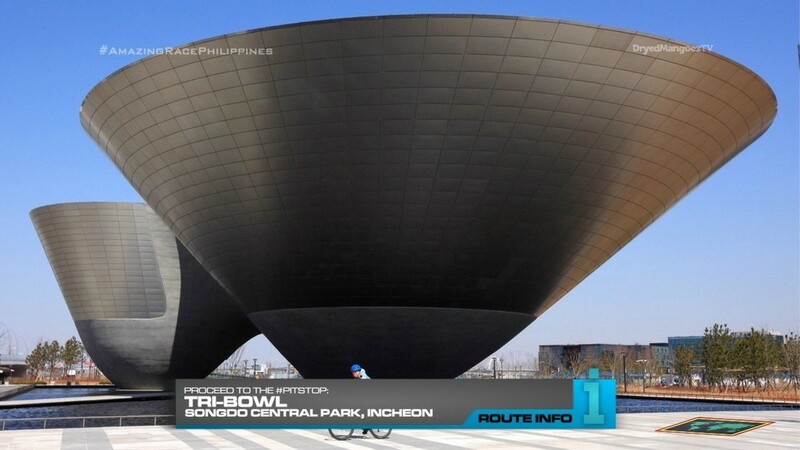 And that final clue points teams to the Tri-Bowl in Songdo Central Park, the Pit Stop for this Leg of the Race. Like the last Leg, I wanted an Incheon Leg mainly for one specific task. And this time it is the clam digging in the mudflats. It should be a challenging enough task that will provide some fun moments. The setting up stalls at the beginning is a typical TAR task. It’s similar to something like TAR25’s Morocco 1 task. But this Leg also needed an extra task as well. And it’s at a logical point in the Leg, especially if teams need to wait a bit for the tide to roll out at the mudflats. The Detour is very simple, but I did want teams to do something at Bupyeong. I’m sure there are other possible Incheon-centered tasks though. Overall, I think this should be a solid, early-Race Leg in a great location.